If you would like to receive our monthly newsletter send us your details. This information will not be shared with any other organisations. There is no cost associated. When you join White Ribbon you can let the world know and feature on White Ribbon’s Facebook page. Just include a message, let us know you wish this to be posted, and if appropiate, we will place this message on Facebook for you to share with your friends and family. 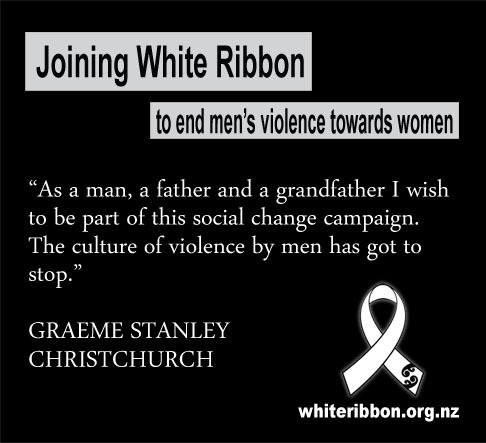 The White Ribbon Campaign invites men to be part of the solution and end violence against women. Family Violence costs New Zealand between $1.2 and $5.8 billion each year, negatively affecting the lives of New Zealanders. There are more than 3500 convictions recorded against men each year for assaults on women and police estimate that only 20% of family violence is reported. Half of all murders in Aotearoa New Zealand are family violence related and one in three women will experience partner violence at some point in their lives. The flow-on-effects of growing up in violent homes are many and varied, but overwhelmingly negative. You can make a difference by joining White Ribbon. 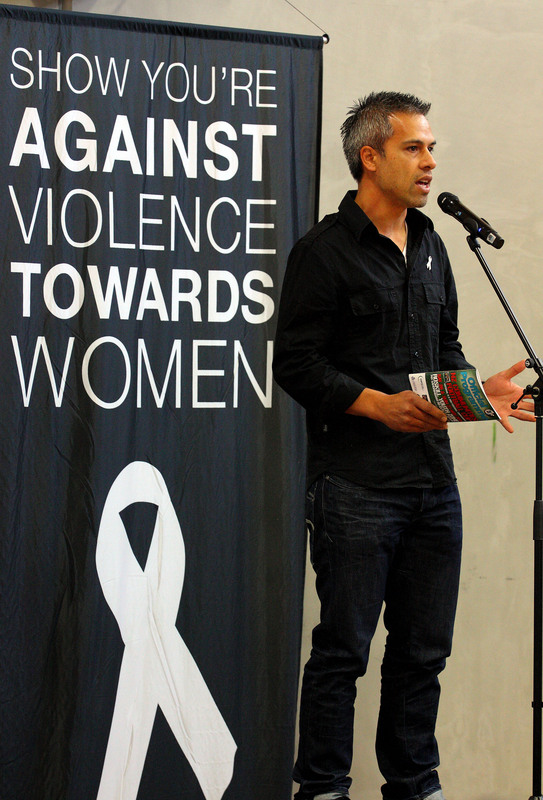 White Ribbon is a social change campaign aiming to transform attitudes around violence, specifically men’s violence toward women. The campaign empowers local communities and men to take part in conversations about violence and work toward a non-violent future by modelling positive male behaviour. This ‘modelling’ is epitomised by the White Ribbon Ambassadors, the White Ribbon Riders and signatories of the Newspaper Pledge Project, and the thousands of Kiwis who wear a White Ribbon, not just one day a year, but every day. The campaign gives the many men who are not violent, a platform to speak from, and tools to use when working to change the unacceptable attitudes and behaviours of their peers. The campaign has become a symbol for commitment and change throughout New Zealand. You can help us in many ways, first, add your name to our email list so we can let you know how you can help, and what the campaign team is organising. 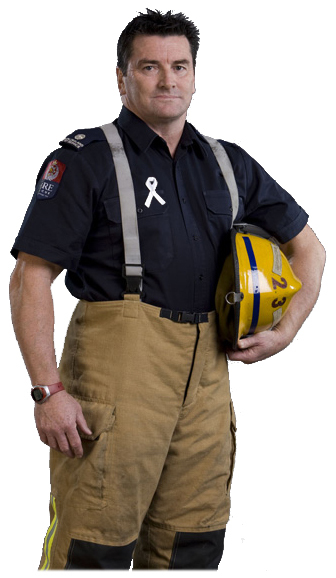 To find out more about White Ribbon, have a look through the website and join the White Ribbon facebook site. The White Ribbon Ride which travels throughout New Zealand using big, tough men on bikes to deliver messages of love and respect. The White Ribbon Ambassadors who come from all walks of life and deliver the key messages in a manner relevant to each audience. The website and new media provide a knowledge base and an opportunity to create a conversation with the public. They also nurture informed discussions about family violence and violence against women. The Newspaper Pledge Project published hundreds of men’s signatures pledging support for the Campaign. The Giant White Ribbon Pledge Project joined 60 white ribbon panels with thousands of signatures, and made this into a giant white ribbon which will be displayed throughout New Zealand in 2012. Free resources (such as ribbons, posters, balloons, tattoos etc) are provided to communities to assist with, and support, awareness-raising through local activities. In 2011 a record 530,000 White Ribbons and more than 650,000 items shipped to communities.